New Smash Bros. challengers appear! Two familiar fighters have been confirmed as incoming DLC for Super Smash Bros. on Wii U and 3DS. Legendary Pokémon Mewtwo, first revealed last October, has been confirmed for an upcoming paid DLC on April 28th, 2015. Dedicated fans who registered Super Smash Bros. on both Wii U and 3DS before March 31 on the now-defunct Club Nintendo will be rewarded with free, early access to the character in both games on April 15. The telepathic Mewtwo previously fought in Super Smash Bros. Melee for the GameCube. Another veteran fighter, Lucas from the Earthbound sequel Mother 3, will also be joining the roster in a June DLC. Lucas, who last appeared in Super Smash Bros. Brawl for the Wii, plays very similarly to his Earthbound brethren, series regular Ness, but with slight variation in speed, power, and a few moves, like Falco is to Fox, or Luigi to Mario. There will also be DLC with costumes for your Mii fighters, letting you dress them up as iconic characters like Mega Man. The most exciting announcement, however, was that Nintendo has opened up polls for the fist time so you can vote for the next Smash Bros. character. There is no list of options from which to choose, but rather an open, write-in ballot that asks for your gender, the character, the title of their game, and up to 500 characters on why they should become a fighter. Voting runs until October 3, 2015, so there’s plenty of time to pore over gaming history and find your favorite. 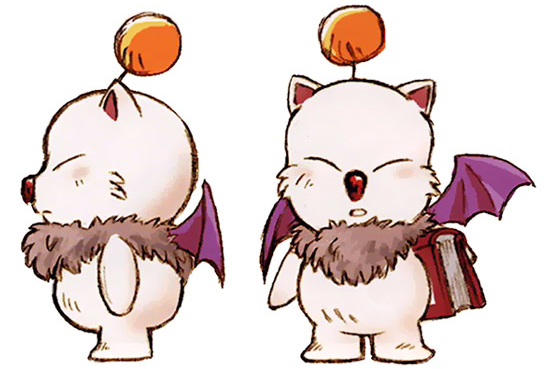 I personally suggested one of Final Fantasy‘s moogles, as an iconic character with a lot of material to draw from that once made its home on Nintendo consoles. Vote here, and let us know in the comments whom you submitted. Ever since the series began in 1992 on the Super Nintendo, Mario Kart has been divided into three speed classes: 50cc is for leisurely Sunday drivers, looking to unwind with a few low-key laps; 100cc turned up the intensity, requiring a little bit of braking finesse to make the most out of those corners; 150cc is for speed demons to test their skill, and until now was the highest level of challenge available in the series. You’ve had over 20 years to practice, and now it’s time to turn the intensity up another notch with the new 200cc class. The new speed class will be available for every track in the Mario Kart 8, and will make your braking and power-sliding skills more important than ever. It will arrive in a free update on April 23, alongside the next DLC pack, which includes new racers and tracks themed around Animal Crossing. The new course will change seasons every time you play, and features a special musical score, which Iwata described as “a souped-up, racing version of the Animal Crossing theme, recorded live in-studio.” Jazzy! 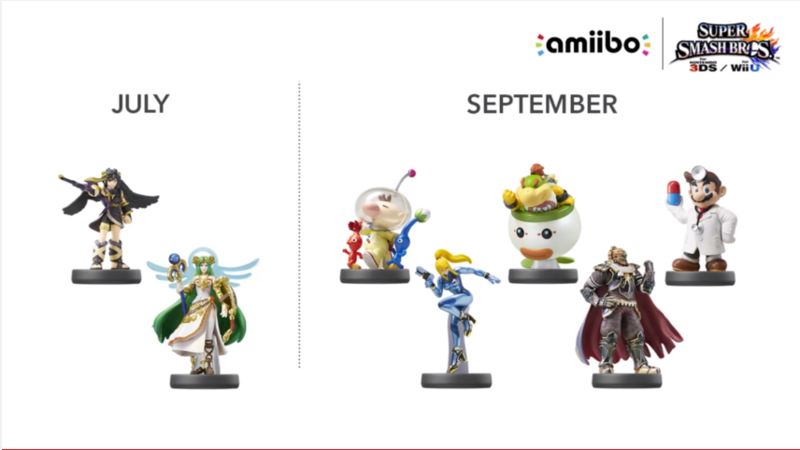 New Amiibo announcements were peppered throughout the hour, along with new ways to use them. July brings a Kid Icarus themed infusion, when Pit and his patron goddess Palutena join their Super Smash Bros. colleagues. In September we dig deeper into the Nintendo archives with characters like Olimar, Zero Suit Samus, Ganondorf, and Dr. Mario. Splatoon will also be getting its own set of Amiibos that will release alongside the shooter on May 29. The Inkling girl, boy, and squid will be available individually or as part of a three pack. When used with their game, they will unlock special missions that reward the player with unique weapons and gear that can’t be found anywhere else. Nintendo also revealed two brand new types of Amiibo: Yoshis made of soft yarn for Yoshi’s Wooly World, and card-based Amiibos for Animal Crossing: Happy Home Designer on 3DS. The yarn Yoshis will add an additional Yoshi to help you in the game, while the Amiibo cards will act as clients for the new interior decorating game. It is interesting to see Nintendo experimenting with form, following the success of the initial Amiibo release, and we look forward to seeing how the toy line expands into different form factors and types of gameplay going forward. An interesting new way to use your Amiibos will be Amiibo Tap: Nintendo’s Greatest Bits, coming to Wii U as a free download in the spring. Players can tap an Amiibo onto the Wii U Gamepad and unlock brief gameplay highlights from classic Nintendo games like Excitebike and Super Metroid. Games will not be assigned to each Amiibo by type, but rather will be randomly assigned to each Amiibo the first time it is used. That means one Mario could unlock F-Zero, while another gives you Kirby’s Adventure. Each scene is no longer than three minutes, but tapping the Amiibo again will cycle through a selection of playable highlights for each game. Nintendo 64 and DS games are finally coming to the Wii U Virtual Console, starting with Yoshi‘s Island DS and the iconic Super Mario 64, both available now. More classic games from those systems will be released in the coming months, with N64 games costing between $10 and $12, and DS games going for $7 to $10. Games from both systems can be played on either the TV or GamePad, and DS games can be configured in a number of ways between the two screens to best match the particular gameplay requirements of the DS’s two screens.